Wow! What can we say about this greatly improved extended and updated three bedroom semi detached house? Situated in a prime location of West Dartford, close to Crayford station for the commute into London, and of course in the Dartford grammar school catchment area, plus close to motorway links. 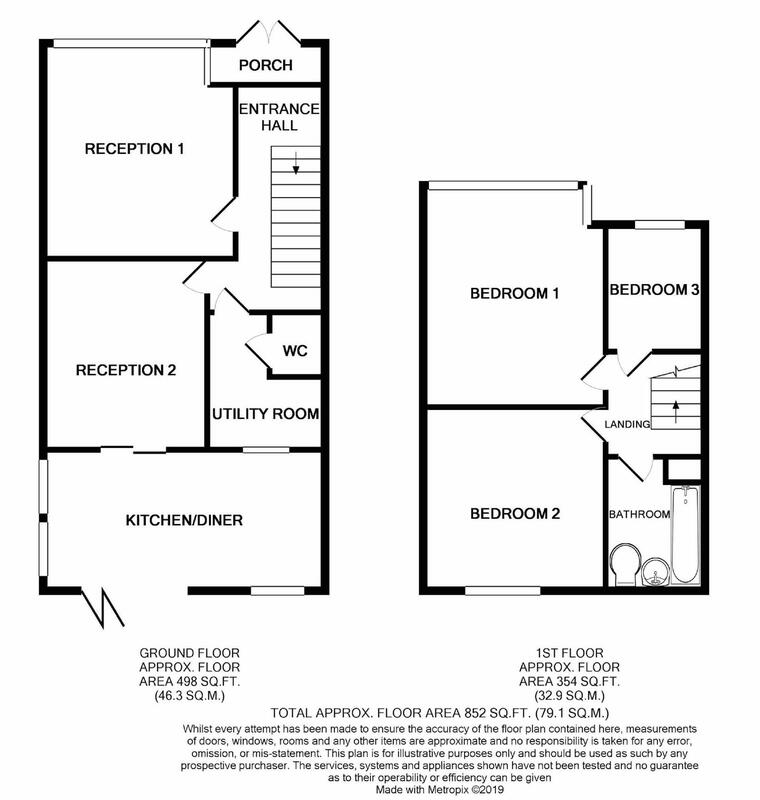 The accommodation comprises two receptions, luxury fitted kitchen/diner, utility room, downstairs cloakroom, three bedrooms and family bathroom. Added to this there is of course gas central heating and double glazing. The property also benefit's from skylights and bi-fold doors. Moving outside there is a rear garden with lawn and patio area, plus to the front there is a driveway for off road parking. You really must pick up the phone to view this delightful family home now! From our Clifton & Co Dartford office around the one way system into West Hill. Continue up the hill and go straight across the traffic lights and straight across the mini roundabout into Watling Street. Take the third turning on the right into Stanham Road and first left into Swaisland Road. Door and window to front. Understairs cupboard and additional cupboard. Stairs leading to first floor. 12' 1" x 10' 11" (3.68m x 3.33m) Double glazed half bay window to front. Radiator. Laminate flooring. 12' 5" x 10' 1" (3.78m x 3.07m) Bi-fold doors leading to garden. Skylight. Tiled flooring. Racked radiator. 11' 6" x 11' 6" (3.51m x 3.51m) Double glazed window overlooking garden. Contemporary kitchen with range of wall and base units plus co-ordinating work tops over. Two ovens and ceramic hob. Double bowl sink unit. 8' 3" x 5' 1" (2.51m x 1.55m) Plumbed for washing machine. Boiler. Low level flush W.C. Hand wash basin. Double glazed window to side. Access to loft space. 12' 1" x 10' 5" (3.68m x 3.18m) Double glazed half bay window to front. Radiator. Carpet. 11' x 10' 5" (3.35m x 3.18m) Double glazed window overlooking garden. Radiator. Carpet. 6' 10" x 6' (2.08m x 1.83m) Double glazed window to front. Radiator. Carpet. 7' 3" x 5' 11" (2.21m x 1.80m) Double glazed window overlooking garden. Panelled bath with shower and screen. Low level flush W.C. Wash hand basin. Tiled walls. Tiled flooring. Racked radiator. Fenced. Raised patio area. Lawn area. Large workshop. Driveway to front providing off road parking.